Mountain Village is being transformed once again into the North Pole for this year’s Holiday Prelude celebration. This year promises a whole day of holiday movies, train rides, Santa and his workshop, live reindeer, ice skating and children’s holiday surprises around every corner. Throughout the weekend, children of all ages will delight in the decorations and lights galore as Santa’s elves send them up the Gondola to visit Santa’s Workshop at the Telluride Conference Center. Children can share their Christmas List with Santa, make holiday crafts with the elves, and enjoy Holiday Movies with free hot chocolate and popcorn. This year’s holiday films include “A Charlie Brown Christmas,” “Polar Express” and “Elf.” The parents’ lounge and cash bar will be available for parents who want to put their feet up. In addition, a curling demo will be held to demonstrate how the sport is played and help folks learn to curl. Children and adults can expect many surprises on the Train Ride throughout the twinkling Mountain Village. This year the train will be making some very special stops through town to visit the live reindeer petting area and participating shops will be giving gifts and treats to all children. On Saturday, the culmination of this year’s event will be a tree lighting ceremony with Santa and carolers in Heritage Plaza at 6 p.m. Following the lighting, head back to the ice skating rink because the Telluride Figure Skating Club will be presenting North Pole on Ice. After our local pros leave the ice, stick around for the “coolest” ice skating party ever — all set to your favorite tunes. For those who need to get some last-minute Christmas shopping done, Mountain Village merchants are extending discounts and specials to customers. Shoppers will receive some of the best discounts of the year, along with raffles, giveaways, food and drink specials and more. And, in the true spirit of giving, Franz Klammer Lodge will host an Angel Baskets Charity Drive for donations and will be offering complimentary treats and beverages in their lodge. Only Vail Resorts’ customers with the premium Epic Pass, Epic 4-Day and Epic 7-Day receive the Telluride benefit: up to 7 days of complimentary access in Telluride. All discount or value Epic products exclude the access benefit in Telluride, including but not limited to the Epic Local Pass, Epic Australia Pass, Summit Value Pass, Tahoe Value Pass. 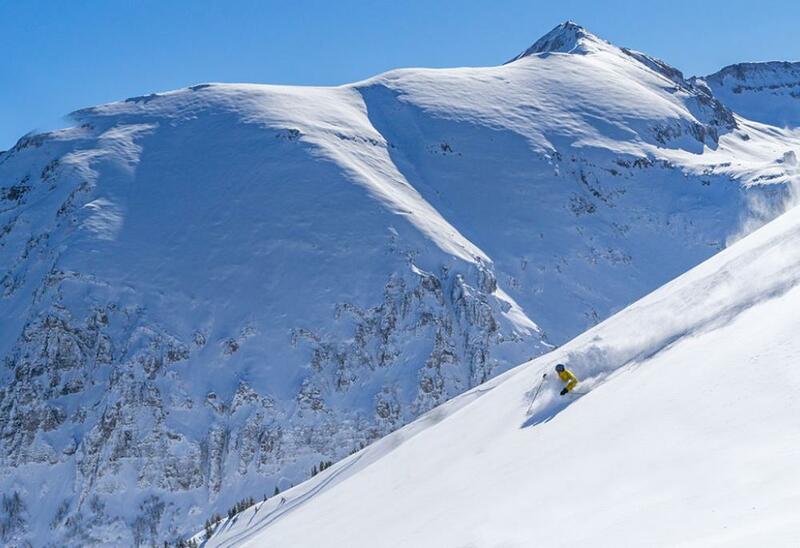 Full Epic Pass holders receive (7) days of ski access in Telluride. Days do not need to be used consecutively. No blackouts or restrictions. Epic 4-Day Pass holders receive a total of (4) days of mountain access of which up to (4) days can be used in Telluride. Days do not need to be used consecutively. No blackouts. i.e. if the Pass holder uses 3 days in Vail, they have the remaining 1 day to use in Telluride. All Epic Pass holders with questions about the benefit in Telluride should be referred to Vail Resorts: (970) 754-0005. Hours of operation are 8 am - 6 pm MST daily. Telluride Ski Resort has started construction of the new Telluride Bike Park with an anticipated opening in June 2019. The park has been designed by, and is being constructed in partnership with Gravity Logic, the Whistler, British Columbia-based industry leader in the design, development and construction of bike parks in North America. Mountain biking has become a booming global trend. Not only will this park attract more visitors and provide more opportunities and activities for them, it will help stimulate the local economy. 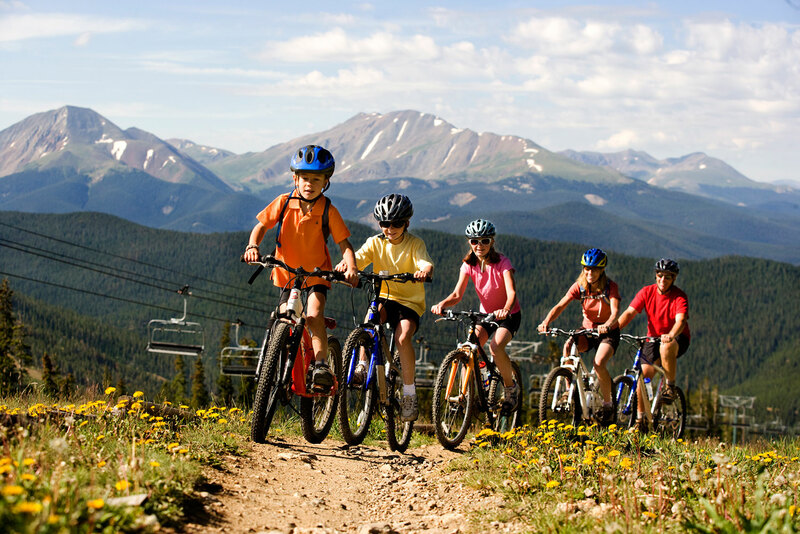 Upon its opening in June 2019, the Telluride Bike Park will encompass approximately 15 trails and 17 miles of terrain, designed to appeal to riders and resort guests of a wide variety of ages, skill and interests. The park will also provide lift- serviced access from Mountain Village on the Village Express chairlift (Lift 4). The terrain will include new Freestyle trails (commonly known as “flow” trails), enhancements to the existing Technical trails (currently managed as the Mountain Village Bike Park), and existing Cross-Country trails within Telluride Ski Resort’s permit boundary (e.g. Prospect Trail, Prospect Loop, Village Trail, Basin Trail, etc.). 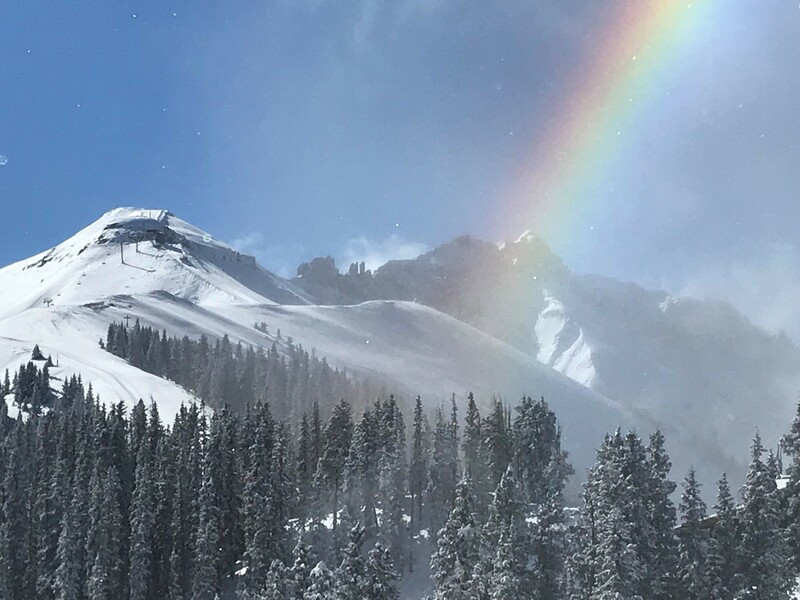 In addition, the park will offer lift service, pass sales, guides, clinics and camps from the Telluride Adventure Center in Mountain Village and pass sales location at Oak Street in Telluride. 1) Anticipated opening on the 3rd Saturday in June with daily operation through Monday Labor Day. Saturday, Sunday operations through the 2nd Sunday in October. Weather Permitting. 10am and after 6pm, XC trails will be accessible via the Gondola at San Sophia Station and will not require an access pass. The FREESTYLE and TECHNICAL trails in the Bike Park (including lift access via Village Express – Lift 4) will be open from 10am to 6pm, daily. Before 10am and after 6pm the FREESTYLE and TECHNICAL trails in the Bike Park are closed, but riders can access the XC trails for free. Do TSG employees receive any new benefits to the Bike Park? Yes. During the Bike Park operating season active TSG employees will receive a complimentary Unlimited Mountain Bike Trail Season Pass with access to all XC, FREESTYLE and TECHNICAL trails, and Village Express (Lift 4). Village Express (Lift 4). $36/day, which includes a $1 donation to NFF. FREESTYLE and TECHNICAL trails, and Village Express (Lift 4). $25 NFF Donation. FREESTYLE and TECHNICAL trails, and Village Express (Lift 4). $199, which includes a $25 donation to the NFF. Village Express (Lift 4) access. $25 NFF Donation. As the nonprofit partner of the U.S. Forest Service, the National Forest Foundation (NFF) works with the agency and thousands of Americans each year to promote the health and public enjoyment of our 193-million-acre National Forest System. The NFF believes that communities should play a leading role in determining the future of our National Forests and Grasslands. Consequently, they focus their efforts on connecting these communities, and the people who comprise them, to the tools, knowledge, and funding necessary to becoming active and devoted stewards of this incredible public estate. The National Forest Foundation (NFF) Matching Awards Program (MAP) provides funding for results-oriented on- the-ground projects that enhance forest health and outdoor experiences on National Forests and Grasslands. 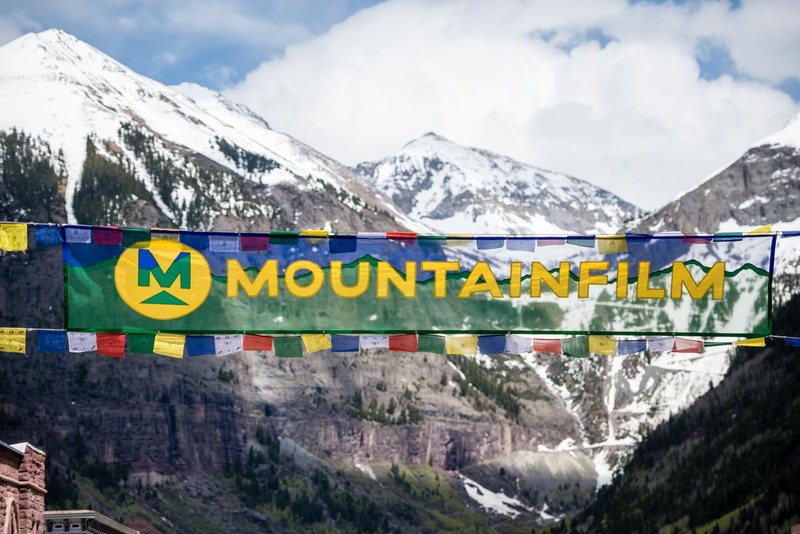 The Telluride Mountainfilm festival is back for it's 40th year. Hosted every Memorial Day weekend the festival represents the kick-off to the summer season for both locals and visitors alike. Mountainfilm's mission is to use the power of film documentaries and art to inspire people to create a better world. This sold-out festival features extreme athletes and environmental activists as they climb, ski, trek and pursue amazing causes in the name of mountain culture. Mountainfilm features a large footprint of theaters and attractions in both Telluride and Mountain Village. My favorite way to Mountainfilm are the free outdoor movies in Town Park after dark under the stars surrounded by 14,000 foot peaks and majestic waterfalls. Telluride Mountainfilm is truly unique among the festivals in Telluride and often times is the locals' favorite. The Telluride High School (THS) is ranked #9 out of 420 high schools in Colorado. The ranking is based on state-wide standardized test scores and college prep capability. THS has a total student enrollment of 244 students attending 9th through 12th grades. The teacher-student ratio is 13:1. Over 77% of students participate in Advance Placement courses which prepare students for college and are accepted as college credit by many leading institutions. 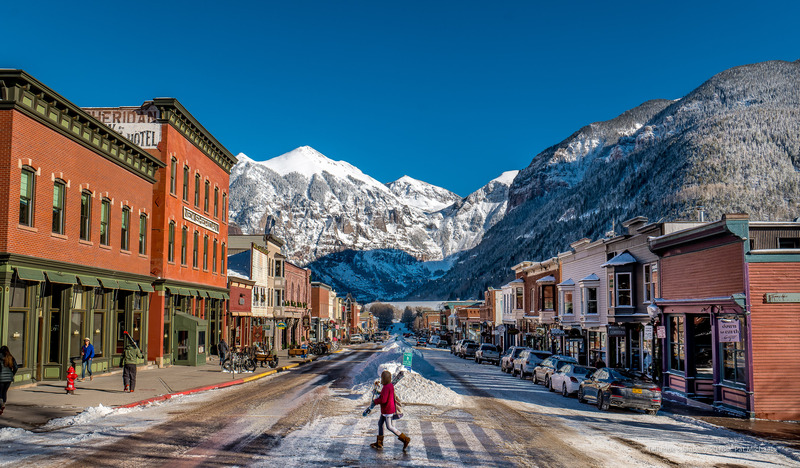 Many of my real estate clients have the ability to work remotely and have relocated to Telluride because of the amazing quality of secondary education to offer their children. The environment is safe and supportive; it's cool to be smart at THS. Tax payers in the District approved a $25 Million dollar upgrade to the facility completed in 2016. Congratulations to the students, staff and educators on this distinguished award.